Seven years seems very long, but having only seven summers seems very short. Time is relative. “They grow up so fast” are words often uttered by parents that have already raised their kids past childhood. The phrase is an acknowledgement to the years gone by, and the wonder of those years when the kids are at “magical” ages. They are words spoken in both disbelief and in a knowing tone. Time is always crawling forward, and, at the same time, flying by, when it comes to children. You only have a handful of holidays and summers to spend with your children while they are young. You do not get them back. Each opportunity is precious. Even just taking a few days off to spend with your kids can mean the world. Summer breaks are opportunities to make memories outside of the daily routine. As a parent, these are the days that may be among the best of your life. But, these days are not just the best in your life. 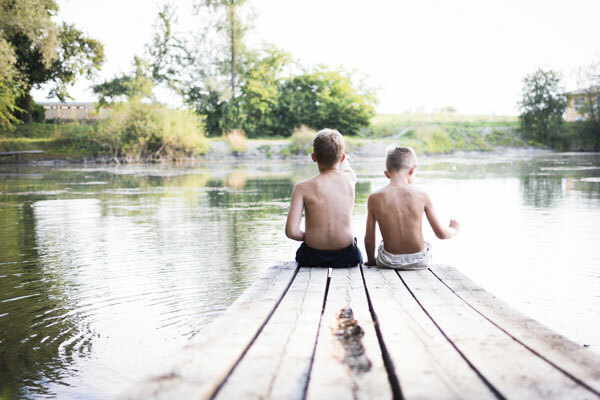 Days of summer can be some of the best days in your children’s lives, and once they are grown with families of their own, some of the best days in your grandchildren’s lives. When you think back to your childhood, there are moments that matter. Those that stand out the most are often holidays, vacations, and time off. 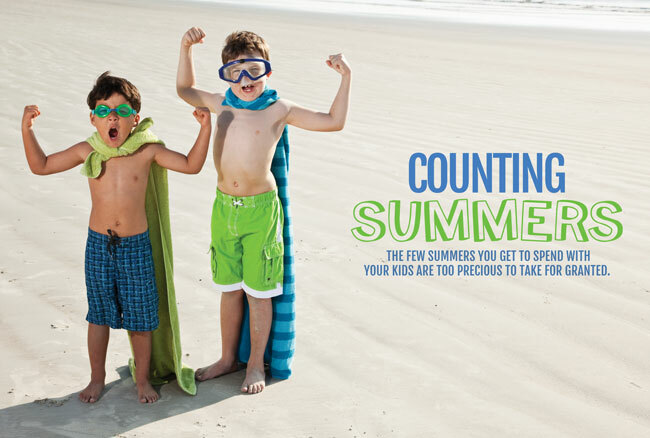 For children, summer vacations matter. These are the memories that will fill the vaults of their minds and shape their ideals of how life should be. We don’t often think of our responsibilities in terms of generations to come, but this is certainly one of our opportunities to do so. Summertime offers you the opportunity to help shape the memories that your children will have to be their guide, and to help set the expectation for when they raise their children. While we all have responsibilities to take seriously, it is far too easy to be absorbed in today’s fast pace of life. Even on vacation, with our numerous methods to stay in touch with work, literally close at hand with smart phones and tablets, it is simple to stay under the spell of the hustle and bustle that makes you feel productive in the world. A hard work ethic is important and a quality to be admired, as long as it does not develop into an addiction. A vacation filled with work is not a vacation. You return home less rested. Your distractions may even keep you from fully enjoying the events and memories you are there to create. It is a shame to waste what little time off we have, and not enjoy the full benefits. And, in a country that boasts one of the lowest time-off statistics, it happens. Even if you own your own business or are leading a group, finding a way to have some time off should be a life priority. Hopefully your hard work has blessed you with a smart, reliable team that can carry the business forward safely for a few days at least, without you needing to mentally remain in touch with, and distracted by, the office. It’s About Time. Not Money. While Disney World is amazing, your vacation time with your family does not have to include an expensive trip. Memories are about shared experiences more than travels, and a closely-held family memory can stand out just as much, and mean even more, than a day with Mickey. 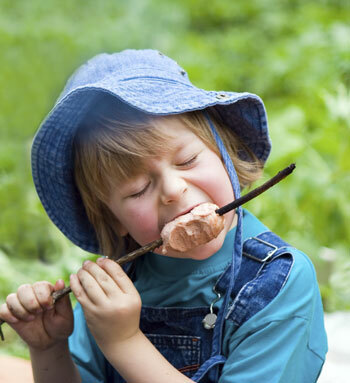 As a parent, taking a few days off during the summer to stay at home and work on a family project, to spend time at a pool, to go fishing, or even to go camping in your own backyard, can be amazing and memory building. If you can take a long weekend and incorporate weekend days already off, your weekend can be upgraded to a vacation. After all, Saturday and Sunday are just more summer days for kids on break. Dedicating time to your family sends a message. If you do decide to travel, visiting cousins or grandparents, even for a few days, can be just as rewarding as a trip to the beach. Find success in focusing on family time together, without distraction. Raising the bar can be as simple as breaking the daily routine. Whether you are seeing a different country or exploring a local park, time-off together matters. 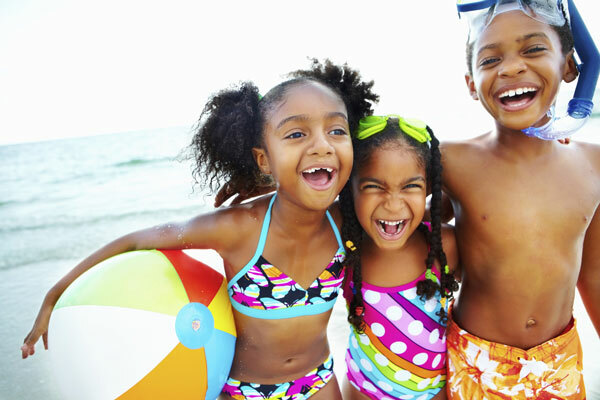 Knowing the importance of your family vacation can actually help you appreciate and enjoy the time you have even more. With awareness as your ally, you can tackle the days with true fervor and zeal. You can make the memories much more than ordinary. Your time with your family can be spectacular, can stand out for your children, and can help set a goal of valued family time for the next generation to come. In the end, what you accomplish by taking time together as a family may far outweigh anything you could have dreamed of achieving in just a few days off.